Jack Allisey has done what no other Australian has done before – place second at the World Coffee Roasting Championship (WCRC). 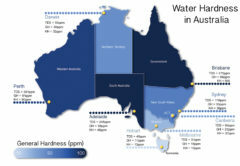 Before the ASCA Australian Coffee Championships in 2017, Australia didn’t have a national roasting competition, or a representative at the WCRC, which has been running since 2013. Thanks to the initiative of Lucy Ward and Anne Cooper who pushed for the inclusion of the event at the ASCA Nationals, the Melbourne International Coffee Expo (MICE) held the inaugural event in 2017. Jack was crowned the champion and our best hope at disrupting the international competition rankings for the first time. The WCRC is a three-day competition involving green bean evaluation, sample roasting, production roasting, and blending. With no expectations or previous record to overcome, Jack went to Hotelex Guangzhou in China excited to compete from 12 to 14 December. During the year, the spotlight has been on Australia’s barista achievements. 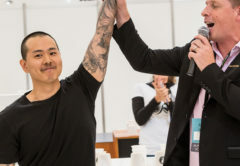 Sam Corra placed second in the World Brewers Cup, Hugh Kelly placed fifth in the World Barista Championship, and Yama Kim placed sixth in the World Cup Tasters, but Jack went about his preparation patiently, spending his days developing roast curves, blending, and cupping. As Head Green Bean Buyer at Veneziano Coffee Roasters, Jack’s work gave him the natural practice he needed to train his palate for any possible coffee thrown his way in the international competition. Day one was a full day of practice. 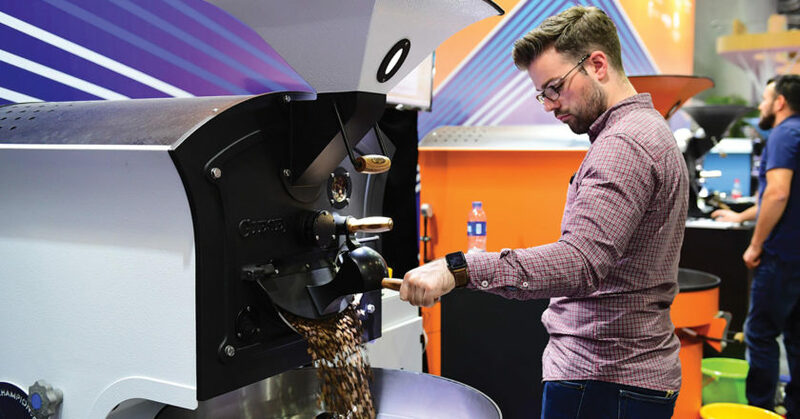 Twenty-one national competitors began sample roasting, green grading, and practice roasting to become familiar with the six-kilogram Giesen roaster. Day two was all about production roasting. 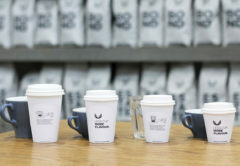 Jack had to produce a single origin roast, prepare one blend, and submit a roast plan for both, which predicted the colour, weight, end temperatures, and taste characteristics of the final roast. The blend consisted of three coffees: a washed Ethiopian Kochere, a natural processed coffee from Yunnan Chinese region, and a washed Panama Esmeralda. To Jack, the standout was the Ethiopian coffee. As a result, he says many people created a blend that was “heavy” on the Ethiopian coffee, but Jack went in another direction. 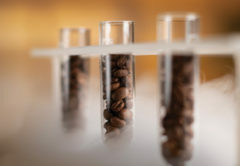 He focused on creating a blend that was “more balanced and sweeter” using 40 per cent Ethiopian beans, 35 per cent Chinese beans, and 25 per cent Panama. Jack was the first competitor of the day to roast his coffee. He had planned on doing three roasts within the hour timeframe, but after making a mistake, decided to do another and produce four roasts in one hour. He submitted his blend to the judges with two minutes to spare. Jack also did two roasts of his single origin coffee after discarding the first. He finished with two seconds to spare. When many competitors went one way, Jack went the opposite direction, such as choosing to pre-blend rather than post-blend, using two kilograms of coffee to roast when everyone else did three or four kilograms, and roasting quicker at eight to eight and a half minutes when the majority roasted for 10 to 11 minutes. “It was a gamble. It could have gone either way, but if you’re going to take a risk the WCRC is the place to do it,” Jack says. Day three was all about cupping. Every competitor’s coffee was cupped double blind by five judges, meaning the coffees were tasted twice without knowing whose they were. Competitors were also allowed to blind cup the coffees. Then all that was left to do was wait – the hardest part, according to Jack. “You can’t help but question if you did the right things,” he says. Total scores were based on the production roast evaluation results, single origin green evaluation, and roasting plan scores of single origin and blend coffee category. In the judges debrief, however, he realised his scores didn’t add up and a recount was demanded. Two hours later, he jumped to second place with a score of 472.6 points, just six points behind the winner, Rubens of Italy, who had been competing for four years. The top four positions were extremely close, with Jack just six points behind Ruben, and four points ahead of third placed Benjamin Pozsgai of Germany. Unfortunately, Swedish competitor Henrik Arvidsson who had originally made the top three was bumped down to fourth place. Jack had plenty of support from his Veneziano colleagues leading up to the event and cheering him on from the sidelines. Jack plans to continue his work as a green bean buyer and will travel to Brazil to visit Luiz Roberto Saldanha of Capricornio Coffees as part of his prize. Jack also hopes to compete again in the Australian Coffee Roasting Championships, taking place at MICE in March 2018. “I started off as a roaster and I’ve been doing it nine years now. I’ve gained an incredible understanding of where my roasting skills sit on the world stage and I got to meet a lot of great people from around the world, so I encourage anyone to do it. 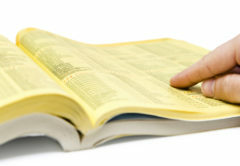 It’s all about knowledge sharing and continual learning and improvement,” Jack says.